The labor union of Igor Sikorsky Kyiv Polytechnic Institute heard the report of the head of the department of programs for prospective development and the chairman of the trade-bureau of the department of long-term development S.A.Manzyuk at the meeting, which took place on October 25, and considered and discussed the results of the recreational season of 2018. Incoming group has been updated, new fence is installed. At the expense of trade union members, the trade union acquired and installed a children's playground. In the RB “Polytechnic” this season has rested 25 people and more than 1200 employees and students at the “base weekend” format. Repairs on the 2nd floor were carried out, the facade of the dining room, LED lighting on the territory and in the rooms, new beds were purchased. Fire-fighting equipment also was purchased: new shields, fire extinguishers. Work was carried out on the renovation of the recreation area – the beach zone, playgrounds, fences. At the expense of trade union members, the trade union acquired and handed over to the base a tennis table (pictured) and an electric saw for conducting business activities. In SSST, “Sosnoviy” rested 106 people. The funds received in 2018 will be used to restore, improve the health bases of the Igor Sikorsky Kyiv Polytechnic Institute and improve the material base. O.Shayko, Deputy Chairman of the trade union committee, said that the wellness season was successful due to the work of the Department of Prospective Development and the trade union committee. According to the results of the survey, the employees who were recovering at the recreation centers gave a satisfactory rating of this year's health season. If there were some complaints from holidaymakers, the wellness bases workers worked on them on time. As part of the implementation of the sanatorium and health improvement program of the Igor Sikorsky Kyiv Polytechnic Institute, the workers of the labor union were treated with a 50% reduction in the number of trips at the sanatorium “Chervona Kalyna” and “Zhovten”. 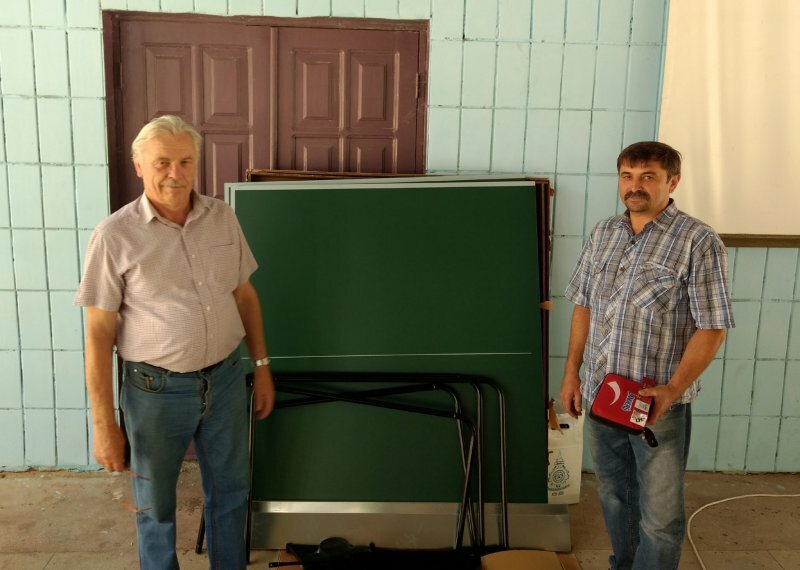 50 children were working at Sunshine Coast campuses, Carpathian stars, and three children were treated at a sanatorium in the resort of Medik (Zatoka, Odesa oblast) and 28 children were accompanied by 5 people residing in Poland. 65 children and 79 grandchildren rested at our recreation centers. As in previous years, the trade union committee provided a reduction in the cost of travel vouchers for members of the trade union members and their families.